Cram-packed. The Chinese smartphone presents decent figures on paper, such as 4 gigabytes of RAM, 64 gigabytes of storage, a 16-megapixel camera, and a strong battery. Is the additionally attractive smartphone also a power bundle in practice? Positive: Nice display; high performance; fast fingerprint sensor; decent hardware; long battery life. Negative: No NFC; poor cameras; weak connectivity. Positive: Slim size; light weight; nice display; decent performance; long battery life; good connectivity; low price. Positive: High autonomy; decent cameras; good price. Positive: High autonomy; low price; nice design. Positive: Fast fingerprint sensor; nice display; high autonomy. Positive: Nice design; decent hardware; high autonomy; good price. Negative: Low performance. 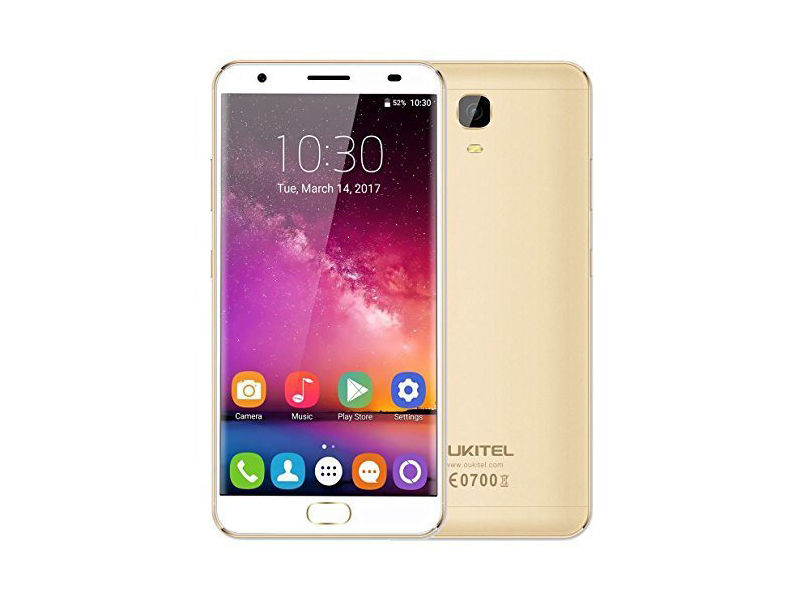 Model: In the android space where Samsung often dominates the world of android devices there are usually smaller manufacturers who try to best Samsung in their game, one such manufacturer is Oukitel with their K6000 Plus. One major gripe of most mobile devices these days tends to be the battery capacity and Oukitel hopes to deliver with its phone’s massive capacity of 6000 mAh. Despite the battery’s capable capacity, it is still quite reasonably thin though with its massive capacity the phone is actually quite hefty tipping the scales at 207 grams. While this phone is marketed as a budget device Oukitel has actually invested a bit in making this device look and feel premium with its aluminium frame and construction accented with a plastic top and bottom to improve the antenna’s reception. 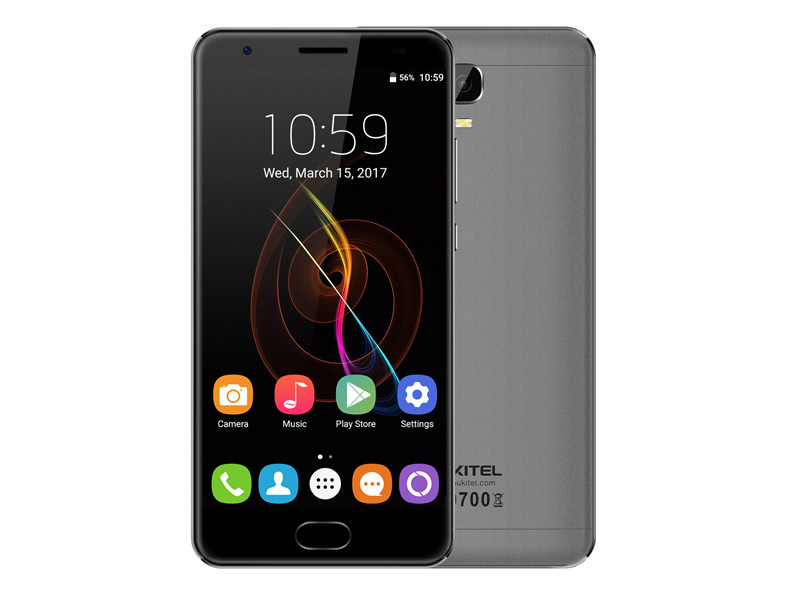 In terms of hardware the Oukitel K6000 Plus sports a MediaTek MT6750T Octocore processor and has 4GB of memory, it also has 64GB of inbuilt storage for those who like to store photos and videos on their devices with the possibility of expansion through a micro SDXC memory card. Another feature of most Chinese phones is the ability to accommodate dual sim cards however should the user need to expand on storage one of the sim slots will end up being used for the microSDXC card instead which is quite disappointing considering other dual sim devices usually allow the use of both dual sim cards and a memory expansion card. Moving on to connectivity, the K6000 Plus has support for LTE however the wireless module included only supports up to the N standard opposed to the already proliferating AC standard but this should not be a problem since the Wi-Fi N standard still provides a reasonable connectivity speed. While the K6000 Plus is considered a budget phone it still packs a reasonably bright and vivid 5.5-inch FHD IPS screen which should be suffice under most lighting conditions. In terms of touch sensitivity, the K6000 Plus is also quite accurate with minimal input lag. Naturally with most smartphones these days a front facing camera is considered the norm however as with budget phones corners tend to be cut with a low-quality camera sensor, this isn’t the case with Oukitel including a 16-megapixel camera sensor which actually delivers in well-lit conditions although there are some exceptions where occasionally pictures tend to be blurred. In contrast with its front facing 8-megapixel camera quality seems to take an awkward nosedive but should be fine for most purposes. For software, the K6000 Plus actually runs Android 7.0 at almost stock configurations which means bloatware is kept to a minimum although Oukitel did include a special app for alternate themes, some touch gestures and some floating shortcut based apps, otherwise this version of Android 7.0 runs rather smoothly. Finally, to actually address the actual feature of the phone which is battery life, not surprisingly with its fat 6000 mAh battery the K6000 Plus was able to last 2 days straight even on load, and if the user is conservative the battery is capable of lasting 4 days on a single charge. All in all, for what’s worth Oukitel did deliver on its primary promise or longer battery life even if the rest of the hardware isn’t exactly industry breaking. 74.95%: This rating is bad. Most notebooks are better rated. This is not a recommendation for purchase.